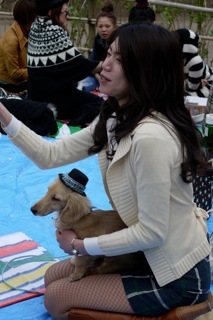 It’s Golden Week in Tokyo! 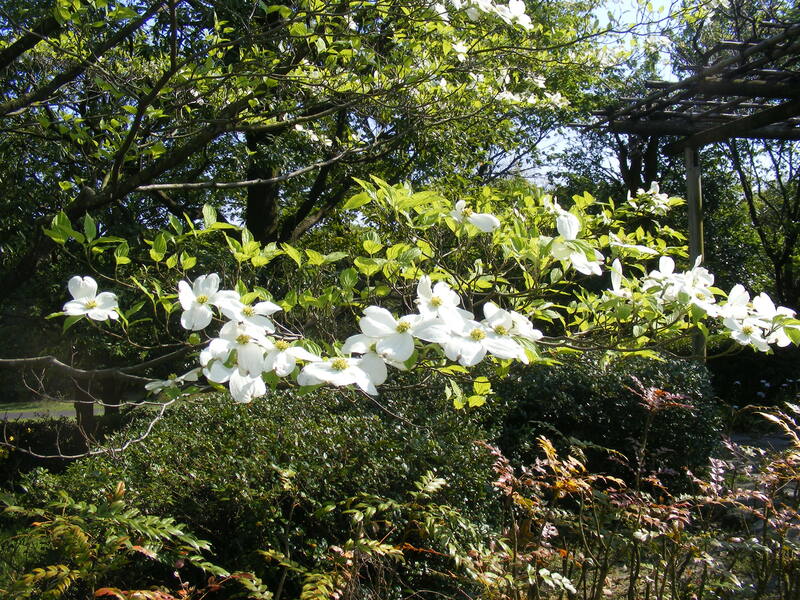 Flowers in the Japanese gardens at Showa Kinen Park during Golden Week. This week in Japan is known as “Golden Week” because of the string of national holidays contained within it. The Japanese have a different, more collective, take on vacations from work than Americans do. Americans have a certain number – often between 10 and 20 – vacation days and a few holidays over the year when the office is closed. In Japan it’s different: there are many national holidays where most companies are closed and individual workers take very few vacation days. There are three times over the year when the country is quiet and companies are closed. The first is over the New Year, when most places are closed from January 1st through 4th every year. Second is Golden Week, which is just a series of well-place holidays and third is the third week of August, which is Obon, when Japanese are supposed to go back to their ancestral homes and celebrate their ancestors. There are other one-off days throughout the year, including a few days in September/October that are starting to be called “Silver Week” due to it’s similarity to Golden Week in the spring. Showa emperor – known to Americans as Emperor Hirohito, who was born on this day in 1901. Even though one might think the Japanese wouldn’t choose to celebrate the Emperor who brought the country into World War II, but the opposite is true. Under his reign, though there was the war, Hirohito brought Japan into the modern age with industrialization and militarization. He withstood the American changes to the constitution of the country and was the longest reigning emperor in Japan’s history with his rule from 1921 to 1989 when he died. The emperor’s birthday is always a holiday in Japan (the current emperor’s birthday is December 23rd) but after his death, the holiday became known as Showa day, celebrating the Showa period in history. April 30th is not a holiday at all. Some people take it off to make a full week of Gold, and some do not. The second holiday is May 3rd, and it celebrates Constitution Day. May 3rd is the day in 1949 when the new Japanese constitution was put into place after the war. It’s the only day of the year when the Diet (the Congressional building) is open to the public. May 4th is Greenery day and is sort of like Earth Day. People are supposed to celebrate the earth and nature and all of its gifts. Some people go to the temples to worship accordingly. 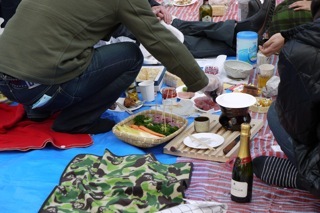 May 5th is one of the more interesting holidays – Kodomo no hi – or Children’s Day. It’s when parents specifically celebrate boys (Girls’ day is in March, don’t worry) and go to temples to pray for the health of all children. There are more symbols and traditions for this holiday. All over the city of Tokyo right now, you can see brilliant flags in the shape of carp. Carp swim upstream, and represent strength, so they are the symbol of the holiday. There is one traditional food: mochi – pounded rice – stuffed with bean paste and wrapped in an oak leaf, also representing health and strength. Those are the official meanings of the holidays. However, what they mean to pretty much all Japanese people is a rare time of the year that they can travel easily without taking days off from work. At this time of year the airports, busses, trains and everything are crowded beyond belief. Air travel prices spike out of this world. 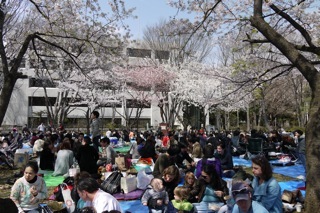 Public parks and tourist spots become overrun with people. I tend to stay in if possible! It’s an interesting way to look at the concept of taking holidays – it’s more collective than Americans’ individual waysof looking at vacations. 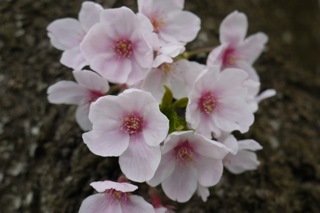 But that’s the Japanese spirit – anything worth doing is worth doing as a group! translates to “sectional separation” and references a time when the lunar calendar was the only one in use and each year was separated into twenty-four sections according to the cycles of the moon. Now, the word has just become associated with the separation of seasons. 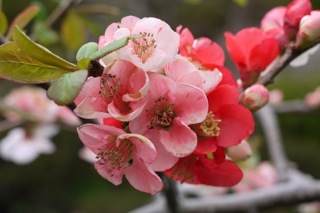 This holiday takes place every year on the same day, but is essentially a prelude to the moving target of the lunar new year celebrations – Chinese New Year – and the start of spring, which is not far off. (Just a note, 2010 is the year of the Tiger in Asia.) This year the start of the lunar new year is February 14th, so it’s not that far of a separation, but some years it’s close and some years Setsubun and the Chinese New Year can be as much as a month apart. It just depends on the cycles of the moon. 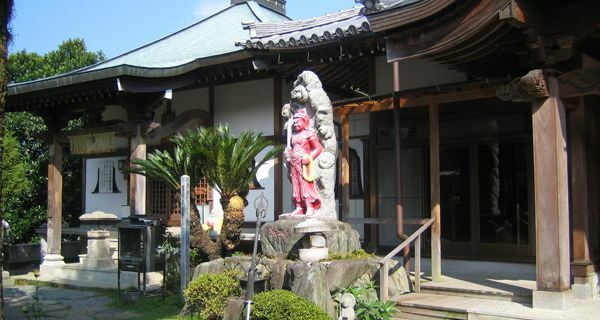 Every year on this holiday, people go to local shrines and perform the bean throwing ceremony, called Mame Maki. 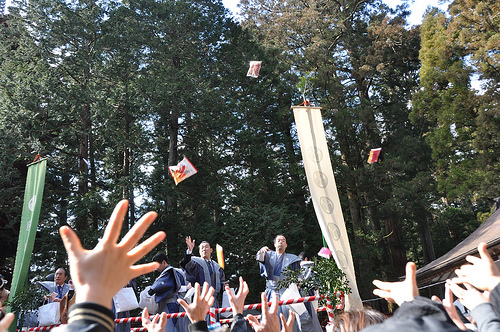 The bean-throwing ceremony is a colorful enactment of the wish for good luck and for warding off evil. 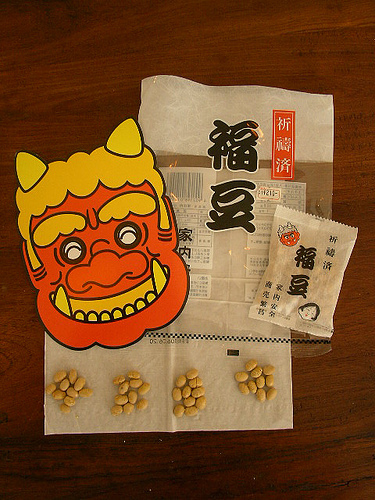 People throw beans at someone dressed in a devil mask and shout, “oni wa so to ” (get out demons) and “fuku wa uchi” (come in happiness.) Most people use roasted soy beans as the bean of choice for throwing, but these days, some people use peanuts too. Some people perform the ceremony in their homes so that the children then pick up the number of beans corresponding to their ages and eat them so they will have good luck for the coming year. One other neat custom is that people try to eat maki sushi (rolls) all in one go – thereby creating a continuous – unbroken – string of luck. This is no easy feat! Available at convenience stores across Japan: the beans and the masks! Of course via the modern marketing engine, the larger shrines across the country will ask celebrities to come in along with sumo wrestlers and they will throw beans or cash wrapped in silver paper or other sweet treats to pander to the media, which will eagerly televise the enactments of the ancient customs. As with most things in Japan, there’s a comfortable meshing of the modern and the time-honored that shows the leanings of the people: steeped in tradition, yet firmly ensconced in the here and now of modernity.